Our new Rustik range is bringing refreshed innovation to playground design. 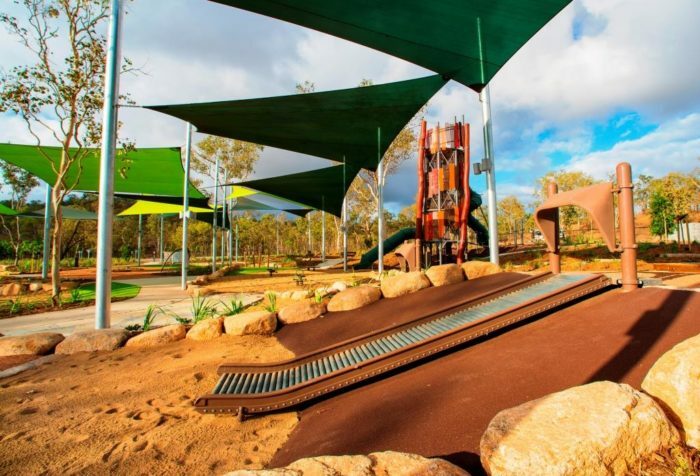 With 3 collections within the range, clients can have a more standard ‘off the shelf’ offering through to fully customised play systems integrating Australian Hardwood timbers with climbing nets and steel architectural features. 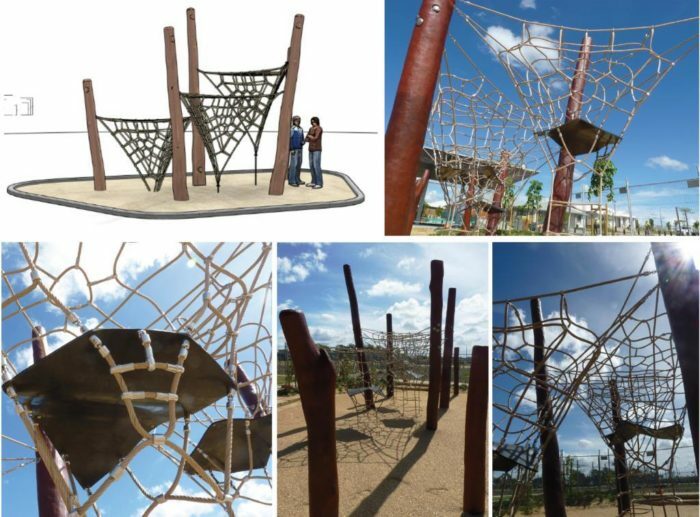 Playscape Creations’ design and engineering team has developed distinctive core product with the opportunity to personalise and individualise to suit design narratives and site theming. Timber used is generally second generation timber regrowth which is not allowed to be harvested by loggers and timber mills – so in the vast clearing of land for development in South East QLD, these high quality timbers would otherwise go to waste. So what better use than to reintroduce these timbers into project sites blending play and sculptural design to complement natural settings. 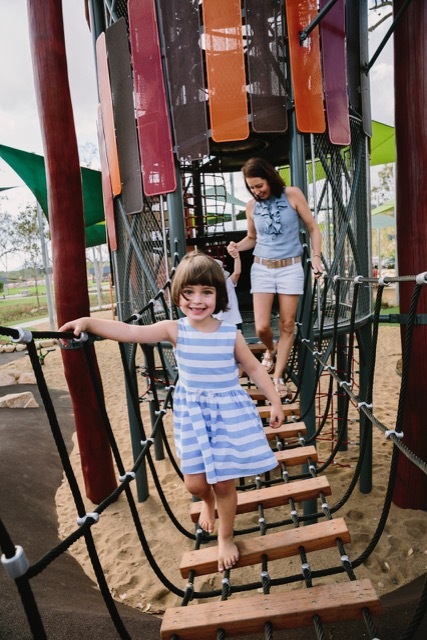 These timbers are also cleared of all sapwood before use – unlike timbers more commonly seen in playgrounds – so there is no outer layer that might crack and deteriorate down the line. 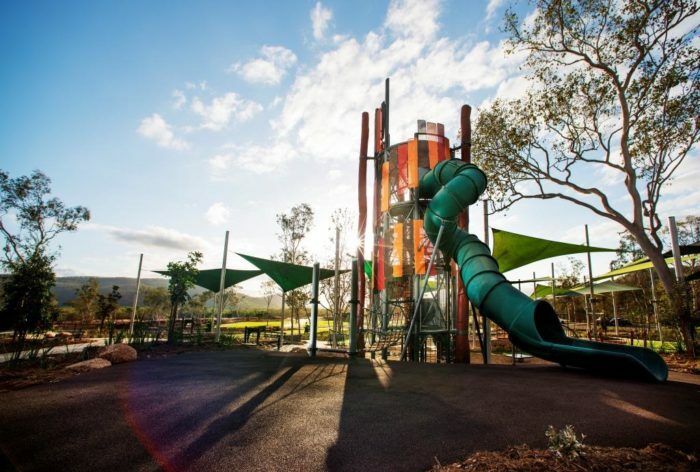 Two recently completed projects highlight the versatility of this range as well as Playscape Creations’ in house capability of working through a project from initial concept design through to final project completion. 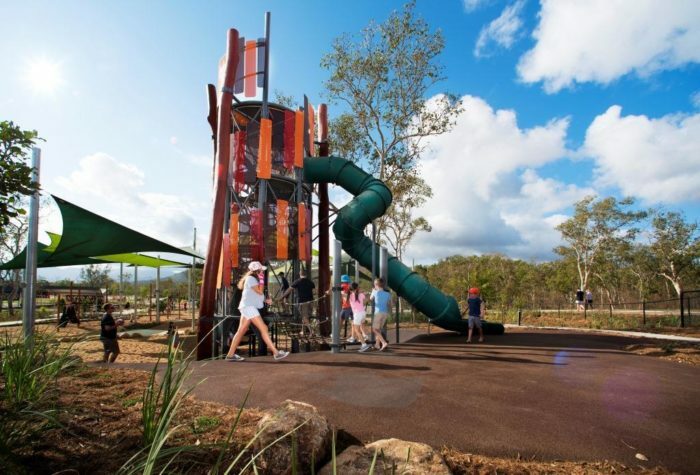 More features of the Rustik range can be seen in the new Harvest Rise development at Greenbank in Brisbane. 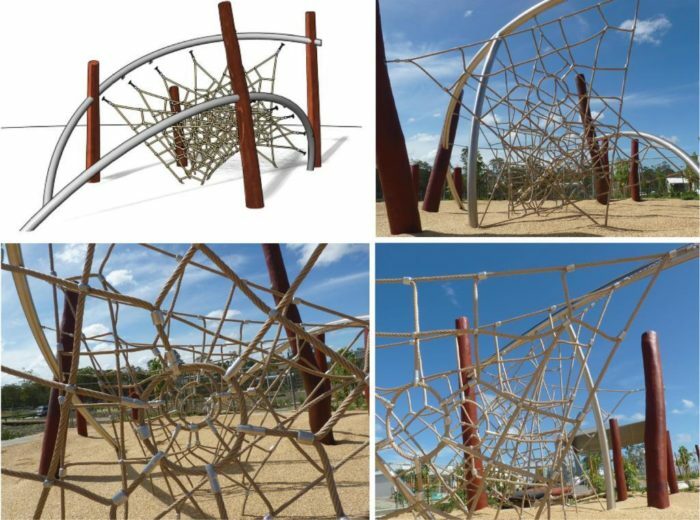 Architectural and sculptural, these features blend the sophistication of the stainless steel arch work together with the natural timber elements to create one of a kind non-prescribed play opportunities for all ages. 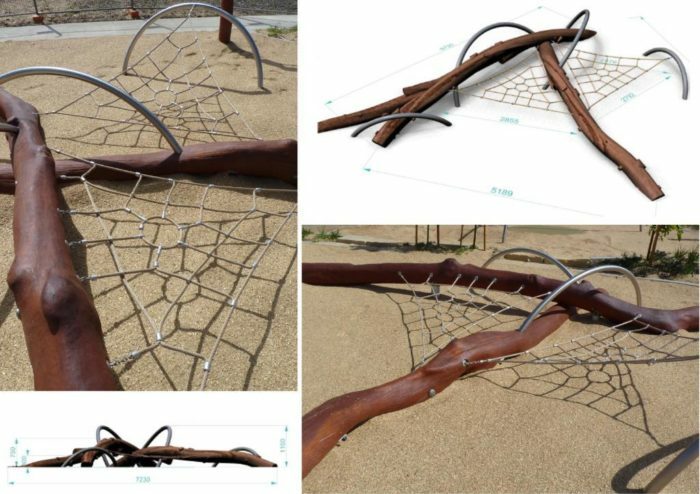 Sculptural, industrial, natural – meet the Rustik range from Playscape Creations!